Worldcall is one of oldest internet service provider company in Pakistan. Ex governor Punjab Suleman Taseer was its founding CEO. 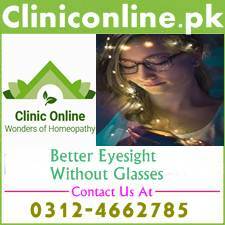 At present world call is offering its services in Karachi and Lahore cities. Now World Call has announced its latest Wordcall internet packages 2019. This page will provide you all these latest worldcall internet packages 2019. Details have been provided in image style below this page. Image is down loadable with just one click. At present there are total six different kinds of worldcall internet packages 2019. Speed of these worldcall internet packages 2019 varies between 1 MB to 10 MB. Minimum bundle price is 699 rupees and maximum bundle price is 3500 rupees. These worldcall internet packages 2019 provide unlimited download facility. All users will have to pay set up cost and modem charges. 14% advance test is applicable on all worldcall internet packages 2019. For ordering a package you will have to call at 111-111-965. No security deposit is required for any package or device. Wifi modem will not be given with thunder 1 package. Free cable tv facility is not included with thunder 1 and thunder 2 packages. Remember that UBL, Standard Chartered Bank, HBL, Citi Bank, Bank Alhabib and Bur Bank are some reputed and satisfied customers of world call company. World call cable broadband has great features like super high speed unlimited internet connection, which always remains on. Plans are flexible with exciting value added services. Subscriber of any plan can download and upload unlimited data including songs and videos etc. At present Worldcall coverage area is limited in Lahore and Karachi cities. List of worldcall coverage areas of Karachi has been given below. Soon more areas will be added in this list. Worldcall cable network has become the biggest commercial rival of PTCL broadband DSL network in Lahore and Karachi cities. Many people think that worldcall internet packages 2019 are more affordable than PTCL. Its services are also reliable. Studysolutions.pk has already published internet packages of Qubee, PTCL broadband, PTCL Evo, Wi Tribe and PTCL Charji. 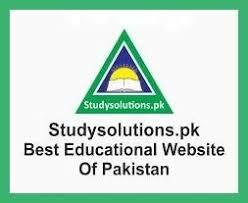 Visit daily and also like facebook.com page of our website studysolutions.pk. Note-Size of image is medium, you may increase its size by clicking on this image.